Some states refer to the crime as Domestic Battery, some as Domestic Violence. The essence is a personal criminal act by one person upon another with whom there is a family or household relationship. A domestic battery is a battery involving family or household members. Family or household members are related by blood or marriage, former marriage, share or have shared a home, are dating or have dated, have a child in common and people with disabilities and their personal assistants. A battery is an intentional, harmful or offensive unpermitted touching of another person. A battery takes place when one person touches another on purpose and without permission. A domestic battery is the unconsented touching of one family member by another. A husband may be arrested for domestic battery for barely touching his wife. Barely touching your spouse, in a manner that she does not permit, is a battery. In many states a husband charged with misdemeanor domestic battery may be sentenced to jail for up to a year. If the battery has serious injuries or there are repeated offenses there may be felony charges, with the potential of years in prison. Family arguments can escalate to dangerous levels and lead to a 911 call. Often, the caller hopes the police will intervene to calm down the situation. Police officers are not counselors, or social workers, and should not be employed as such. Police arriving at the scene of an alleged domestic battery cannot know how volatile the situation is at that moment, or was prior to their arrival. The officers have standard procedures to follow: separating the parties, conducting interviews, observing the scene, checking for injuries, providing information specific to domestic violence and more. However, nearly always someone will be arrested. Police officers cannot know what may happen if they leave the parties together. A situation may have cooled down during the time it takes for a 911 response. The officers have only one real power, the power to arrest. The only way police can be certain the parties will be safe when the police are no longer present is to arrest one of them. It is unwise to expect the police to arrive and act as mediators or counselors. Someone will be arrested. No officer wants to leave the parties together only to be called back later to find something worse has taken place. The argument between family members now moves to a new location, the courtroom. One of them is now a criminal defendant. Most state prosecutors have attorneys that specialize in cases involving domestic relationships. Though the relationship of the parties alters the dynamics of the case, the technical legal process for a domestic battery is no different than any other criminal case. The party charged with domtestic violence must be proven guilty beyond a reasonable doubt. The person who called the police, because she was a victim, often believes that if she wishes the case to be dismissed, then it will be. That is not the situation. Once it gets to a courtroom, the case belongs to the prosecutor. The party arrested is in need of a criminal defense attorney. His fate is in the hands of the judge. The title of the case in the courtroom is “People of the State versus Defendant”. Whether the case goes forward is the prosecutor’s decision. The prosecutor is in the same position as the police officer. He is neither counselor nor mediator. His job is to seek justice for criminal activity. No prosecutor wants to dismiss a case at the request of the victim, only to have another, perhaps worse, event take place in the future. Thinking the prosecutor’s role is to intervene to make things better in a home situation that has become violent is a mistake. Once in court an alleged victim may regret having her significant other being a criminal defendant. Victims often hope their partner will get counseling to avoid future problems. They are seeking help. In many instances the judge can and does order such counseling. The orders come at a price. Generally, the only way a judge has power to order counseling for issues like domestic violence, substance abuse or anger management is if someone has been found guilty of a crime. The result provides the counseling, but at the price of a criminal conviction. Judges are not counselors or social workers either. If there appears to be a potential for violence in a relationship between people who care about each other, they should try and resolve the matter before it becomes a criminal case. Neither the police, nor state’s attorneys nor judges are geared to be social workers or counselors. Though none wish ill to a family, they have specific jobs to do. Law enforcement professionals must work with the tools that they are given. The tools are those of coercive state power. It is important to understand the roles and limitations of those in the legal system. It is better for the parties to work things out if they can, and get counseling before someone winds up in jail, which will forever alter everyone’s life. The National Resource Center on Domestic Violence can provide contact information for local resources. Since there are many more female victims than male victims of domestic violence, resources for women predominate. 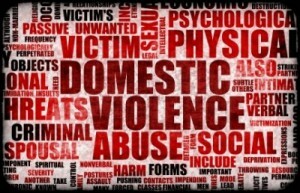 The Domestic Abuse Helpline for Men and Women has resources for both sexes. There is value in an appreciation of the roles of those in the criminal justice system, but in an emergency, there should be no hesitation to dial 911. The definitions of “family member” or “household member” are found in a state’s domestic violence statute, and do vary between the states. For examples, see 720 ILCS 5/12-0.1 in Illinois or in Florida at F.S. 741.28.